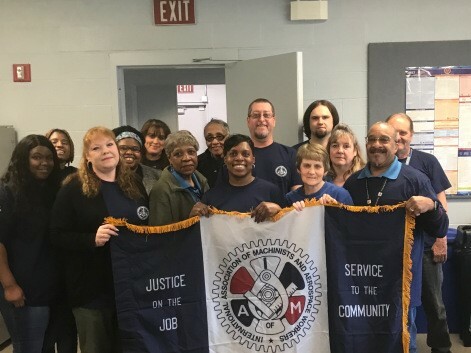 With a unanimous vote of “yes,” 38 full- and part-time custodial maintenance employees working for Creative Management Technology, Inc. at the NASA Glenn Research Center in Cleveland, OH decided to join District Lodge 54 of the International Association of Machinists and Aerospace Workers (IAM). The newly organized members fall under the Service Contract Act (SCA) guidelines, which allows for wages, benefits and working conditions to be set by union bargaining under Section 4(c) and replaces previously established wages and benefits under Area Wage Determination (AWD). District Lodge 54 has several SCA contracts, and the IAM represents more SCA employees than any other North American union.